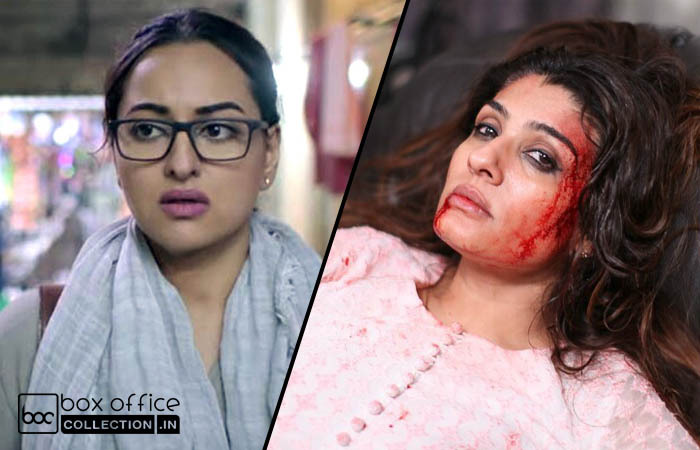 Director Sunhil Sippy’s latest offering with actress Sonakshi Sinha, Noor has been released this Friday and started it’s journey on a low note at box office. It has got good support of fans but failed to attract more audience towards theaters. While already existing Fast And Furious 8 still has good hold over the Indian audience. Noor received mixed reviews from critics as well as moviegoers. As per most of them, Sonakshi has performed well and also supporting actors sincerely justified with their roles. But still it doesn’t grips you throughout, not even it’s music adds any taste. While some found it watchable but not much interesting. On the opening day, Noor recorded only 10% of occupancy for morning shows across the country. From evening shows, it raised up little in multiplexes and registered the opening of 1.54 crore across the country from 1450 screens. The film could take decent jump on Saturday and Sunday due to the face value of Sonakshi Sinha. 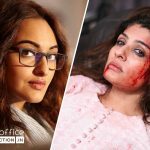 On the other hand Raveena Tandon’s comeback film after a long time, Maatr is based on serious issues like rapes and violence against women. Due to it’s genre and low hype, it hasn’t got succeed to attract enough audience toward theaters. On the opening day, Ashtar Sayed’s directorial reported around 5-10% of occupancy across 350 screens and remained on the ground with 0.42 crore. Maatr was looking promising with it’s trailer but in actual it even got failed to satisfy all the critics. This is why, it doesn’t seem to grow much over the weekend.